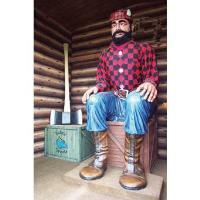 Paul Bunyan Land is hiring for a Gift Shop Attendent! This position requires an energetic personality, the ability to operate a cash register and credit card machine, and count money accurately. The attendent needs to be a self motivator and work independently. The hours are great at Paul Bunyan Land and it is a fun atmosphere.